Roland Jackson is referred to Susan, a hospital social worker, after his second visit to the Emergency Department (ED) for trouble breathing, rapid heartbeat, and panic. Tests have ruled out medical reasons for his symptoms. He is a 35-year-old married African-American with two sons, ages 10 and 13. He is employed in a manufacturing plant, one of few employers in this small town offering good wages and benefits. At Susan’s first appointment with Mr. Jackson, she reads his hospital record and asks him to describe the experiences that led him to the ED, paying special attention to his affect as he speaks and seeking details about what happened on those occasions. She also asks him to describe a typical day, including highlights (“breakfast and dinner with my wife and boys”) and lowlights (“interactions with my boss”). Mr. J’s wife attends this session, and she provides a description of when her husband’s problems became apparent to her and how he is different now than he was before. 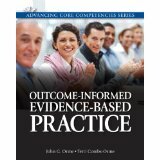 In this chapter we discuss the assessment process, a critical stage in intervention. We discuss moving from the client’s presenting problem to a problem list, as well as defining the client’s goals and objectives. These aspects of assessment are presented in the context of critical thinking and the scientific method, and we emphasize keeping your conclusions tentative in ways that allow assessment to continue throughout intervention as you gain more information. We emphasize the benefits of triangulation: combining the subjective data you consider based on the client’s appearance, tone of voice, and other factors with the objectivity provided by quantitative measures of your client’s outcomes. We also discuss case conceptualization, a process that is discussed too infrequently with regard to social work practice. Finally, we discuss the limitations of diagnosis and methods for making it more useful for intervening with your clients.